This is a wildly inaccurate number from Zillow, and the discrepancy is far too large to account for FSBO listings that aren't included in the MLS. Zillow is notorious for leaving old and sold listings on its site, in a single minded focus on "having the most listings" in their failing attempt to compete with Realtor.com. The "most listings" doesn't translate to an accurate website with properties you can actually buy. #Localisbetter. Zillow is in business to sell advertising, not sell real estate. Learn more about Zillow's inaccurate data and why they do this on my website. Zillow, and now competitor Movoto, are lisitng "coming soon" or "pre-foreclosure" or "off market" properties on their websites. This is a deceptive marketing ploy to lure you to register in the hopes of beating the market. You will be contacted by an agent who is paying Zillow or Movoto for your contact information. I don't think we are in a strong real estate market in Venice or Sarasota. 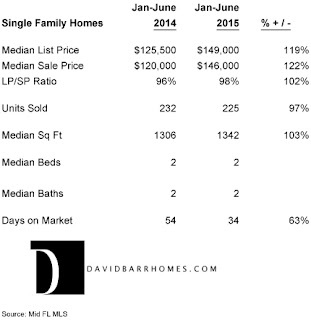 I think we are in a difficult market with historically low levels of available homes for sale. Most home sellers are taking a firm stance when negotiating price, but there may still be options for you as a buyer, to find motivated sellers and negotiate a good deal. Visit my websiteto find Venice real estate that has been on the market over 90 days with at least one price reduction. While there's no guarantee the owners of these properties are motivated, they may be more likely to want to negotiate versus more recently listed properties. Please contact me for more information or to schedule a property showing. 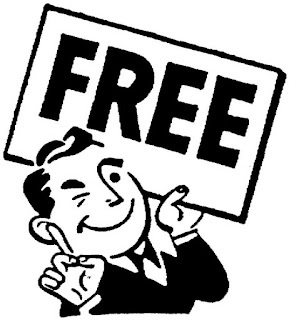 You'll see one or both of these services advertised by most Realtors, on a postcard mailing or on their websites. While they may give you a quick value, the estimate could be off by tens of thousands of dollars. For example, the location of your home or condo within the subdivision or complex can greatly affect values. The same goes for an updated property versus other recent sales. There are a huge number of variables that go into the value of your home that a computer program can't account for. I have developed my exclusive "triangulation method" for the most accurate home value estimates. Need a quick value now, or a second opinion? Please tell me about your property on my website. When you're ready to sell your Venice FL real estate, take a look at my services and experience and contact me for a consultation. If you've been searching for Venice FL or Sarasota real estate you've no doubt seen those websites from Zillow, Trulia, Realtor.com, Movoto, Redfin, and even some from Boca Raton. Why are these sites showing up when you perform a Google search? It's simple: they are selling your contact information to agents who pay for it, experienced or inexperienced. The advent of these websites has changed the real estate business, and in my opinion, not for the better. For example, Zillow/Trulia (now the same company) gets a lot of web traffic, but the fact is that they have a huge amount of inaccurate listing data. It's confusing for consumers and frustrating for agents who have to explain why Zillow/Trulia are so inaccurate. 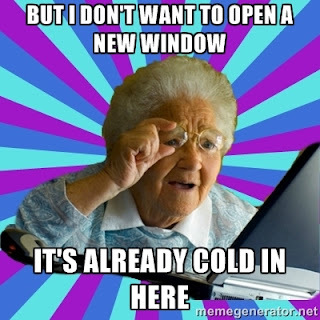 It's also frustrating for you to have to sign up/register and log in to view listings online. 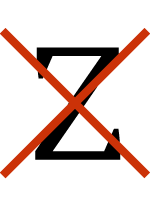 The other pitfall to using these sites is that you as a consumer lose your ability to select your own agent. 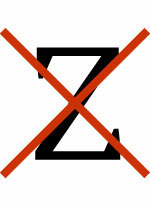 As regular readers of this blog may know, I am not a fan of Zillow/Trulia. Zillow is not a licensed Realtor or real estate broker in any state, and belongs to no MLS. Because they are unlicensed they are not regulated or bound by the same laws, rules, and code of ethics. This means they can leave expired or sold listings on their website, so they can say they have as many as Realtor.com. 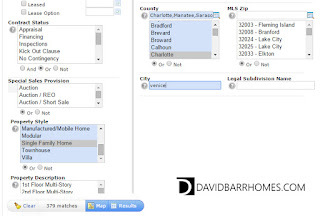 Bottom line: A local real estate website like www.davidbarrhomes.com will give you more information and more accurate real estate listings. Venice Beach condos are one of our area's best kept secrets. Siesta Key gets a lot of press which creates a lot of demand. That demand has created a big disparity in gulf front condo prices. Siesta Key beach is beautiful and it's part of my geographic service area, but Venice Beach condos represent an amazing value on a price comparison alone. Venice Beach condos on Venice Island, like some Siesta Key condos, are within walking distance of shops and restaurants. 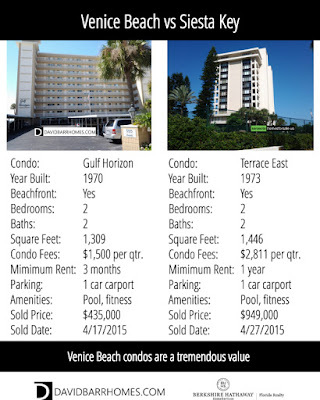 Let's take a look at Venice Island condos for sale on the beach during your next visit to the Sarasota or Venice area. Today I toured a home for sale in Venice Gardens in Venice FL. It was one of the best examples of house flipping I have seen in Venice in quite a while, and it's an excellent value for anyone looking for Venice FL real estate. With the owner's and listing agent's permission, I'll share some photos of this property. 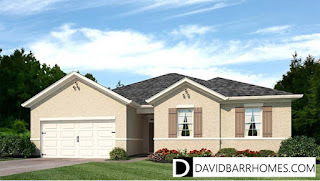 Venice Gardens is known for 2 bedroom/2 bath homes, with one car garages and concrete block construction. This one had three good sized bedrooms and has nice curb appeal. The kitchen is the first thing you see when you enter the home, and it makes quite the impression. The combination of the timeless white cabinets, contemporary cabinet pulls, subway tile back splash, and solid wood counter tops will appeal to today's home buyers and lends a touch of sophistication that won't go out of style. There has been a paradigm shift in how you should approach your choice of Realtor in Sarasota and Venice, or any market for that matter. The fact is that with more and more real estate information readily available online, buyers and sellers should no longer solely rely on selecting a Realtor with more "years of experience" to help set a listing price or help find the right neighborhoods. Your choice of a Realtor should come down to one major thing: computer literacy. Besides price, think about what your Realtor is going to be doing for you. If you're selling, your Realtor will be marketing your home to potential buyers. Where do the buyers come from? 94 % of them start looking online. That means marketing to them on the dreaded computer. Even worse for the computer-challenged Realtor, the choice of matketing is more complicated than ever due to increased mobile device usage. A lot of new home buyers (and most Realtors) are in the habit of looking for new homes in subdivisions. They are easy to spot as the land is being cleared, and it's easier for the builders to promote subdivisions as a group of homes with similar amenities. DR Horton is taking a bit different approach and is offering what I think is one of the best kept secrets in new homes in Sarasota or Charlotte Counties. During the real estate downturn, South Gulf Cove in Charlotte County was hard hit with foreclosures. Many vacant single family lots dropped drastically in value. DR Horton is now building brand new single family homes on 10,000 sq. ft. and larger lots on saltwater canals (lock access to the Myakka River/Charlotte Harbor) starting at $185,000, without private pool. South Gulf Cove has a voluntary HOA. A similar home in one of DR Horton's subdivisions would start at $250,000 with HOA fee, without boating access. Here's my weekly update on Venice FL home sales that showed appreciation over their previous sale. A 3 bedroom 2 bath home on Venice Island, just a block from the beach, just sold for $390,000 after 22 days on the market. The previous sale was $120,000 in 1994. Venice Island real estate is in high demand and this home represented an excellent value based on it's proximity to the beach and it's large 12,000 square foot lot. This home would be a good candidate for a tear down or for a major renovation. 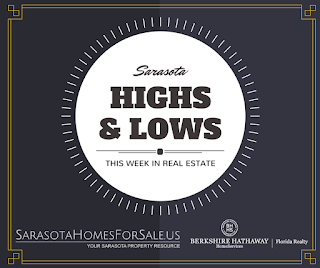 Here's my weekly update on high and low real estate sales last week for Sarasota. The most expensive sale last week was on Bay Island on Siesta Key. A five bedroom, six and a half bath single family home with 6,438 sq. ft. and full Sarasota Bay views sold for $5,100,000 in 198 days at 96% of the original list price. We have a tie among the lowest sales last week, and both were villas. One villa in Strathmore Villas (17th St. and Beneva Rd.) sold for $60,000, $1 over list price after 24 days on the market. The other villa sold in Summerwind (Old Bradenton Rd. just south of 47th St.) It was a short sale that also sold for $60,000, 92% of the original list price after 720 days on the market. 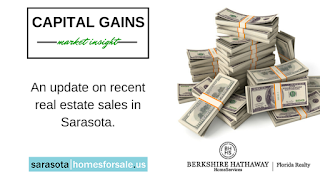 For more real estate information and the latest property listings in Sarasota, please visit www.sarasotahomesforsale.us. Here's an update on last week's highs and lows in Venice FL real estate. Venice's least expensive sale was a condo on Venice Island in Holiday Apartments. This 2 bedroom and 2 bath unit sold after 2 days on the market for $85,000, just over the list price of $84,900. This unit had and updated kitchen and appliances. 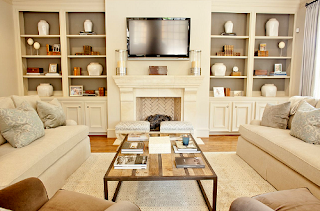 Venice's most expensive sale last week was a 3 bedroom, 3 bath home in The Lakes of Jacaranda. It sold for $450,000 in 10 days at 97% of the original list price. 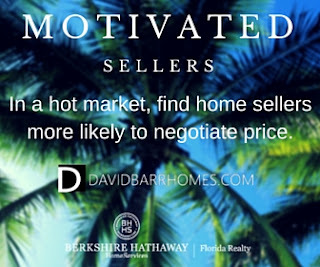 For more information on Venice FL real estate, please visit www.davidbarrhomes.com. Sarasota's most expensive real estate sale last week was also one that showed an impressive increase in value over it's previous sale. A single family, 7 bedroom, 5 and a half bath beachfront home on Siesta Key in The Sanderling Club sold for $6,250,000, 84% of it's original list price after 271 days on the market. The property last sold in 1988 for $955,000. For more information on Sarasota real estate, please visit www.sarasotahomesforsale.us. 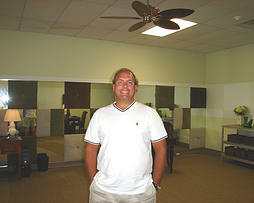 The Venice FL real estate market is showing some signs of improving over the 2008 market crash. A pool home recently sold on Venice Island in Golden Beach for $649,000, a healthy increase over it's last sale in 2006 for $495,000. While Sarasota is showing more of a general improvement in prices for most property types, prices, and locations, the recovery in Venice seems to most prevalent among entry level homes, new construction, and homes in high demand areas, such as this property in Golden Beach on the Island. Examples are recent sales in Pelican Pointe and Venetia. Two upscale homes recently sold in these neighborhoods at prices that were lower than their previous sale price. Sarasota real estate continues it's healthy recovery. Here's an update for a regular feature here on my blog I call Capital Gains. Last week a property sold for $3,100,000 in Vista Bay Point, a luxury condo located on Golden Gate Point. It last sold for $1,930,000 in December 2005. The condo was a 3 bedroom, 3 and a half bath penthouse unit with Sarasota Bay Views. It sold after 818 days on the market, at 89% of list price. Subscribe to this blog for the latest Sarasota real estate news, and visit www.sarasotahomesforsale.usfor property listings and local information. Here's a look at this week's highest priced and lowest priced real estate sales in Venice FL. The Highest In Venice this week, the highest priced sale was a pre-construction new home in Grand Palm for $655,890. This pool home, a Captiva model, will have a three-car garage, three bedrooms and three baths, with 2,698 square feet under air. You can view the MLS report here. The Lowest A 1 bedroom, 1 bath condo in downtown Venice was this week's lowest priced sale at $114,900, which sold in 1 day on the market at full listing price. Terms were all cash. View the MLS property report here. 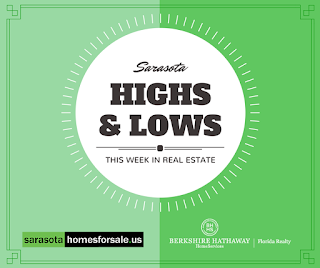 Let's take a look at the highs and lows of Sarasota real estate this week. The Highest The highest priced sale in Sarasota was a single family home West of the Trail for $4,100,000, 89% of the list price after 211 days on the market. You can view the property report from the MLS here. The Lowest The lowest priced sale was a 3 bedroom, 2 and a half bath townhome for $36,900. It sold after 9 days on the market at full list price for cash. You can view the property report from the MLS here. For Sarasota real estate, visit www.sarasotahomesforsale.us. Here's a look at the most and least expensive homes and condos that sold this week in Sarasota and Venice. Sarasota The most expensive single family home sold this week was for $1,600,000, 97% of the original list price. The property was a 4 bedroom, 4 bath home with 2,965 square feet on Siesta Key. View this home's MLS report. The most expensive condo/villa/townhome sold in Sarasota this week was also on Siesta Key in Summer Cove. The 3 bedroom, 3.5 bath condo with 2,490 square feet sold for $2,185,000, equalling 95% of the original list price. View this condos's MLS report. Venice Venice's most expensive sold single family home this week was a 3 bedroom, 4 bath pool home on Venice Island just a block off the beach. It sold for $745,000 in 115 days for 95% of the original list price. 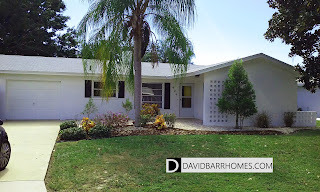 View this Venice FL home's MLS report. Why is this occurring when we are seeing national news stories about the slow down in investor money in the real estate market? 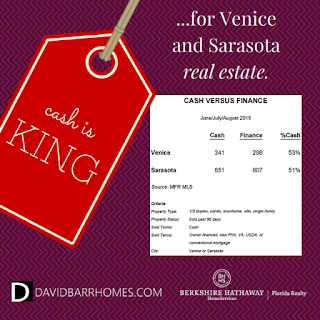 Sarasota and Venice attract affluent home buyers and those buyers are more likely to have cash. The percentage of cash buyers is probably not tied so closely to investors, but to those looking for retirement or seasonal residences. These buyers understand that a cash offer to purchase, in a multiple offer situation, looks far more attractive to a seller and increases the chances of their offer being accepted. I've added a new Sarasota real estate website to my online portfolio. In addition to my Venice and Englewood websites, I invite you to visit www.sarasotahomesforsale.us. I sold real estate in Sarasota when I first moved to Florida in 2002, and have continued to show and sell in Sarasota since joining Berkshire Hathaway in Venice in 2014. If you're not sure of the area you'd like to consider for your vacation, seasonal, or retirement home, as your buyer's agent I have first hand experience with real estate in an area from Sarasota south to Englewood. Please contact me for Sarasota and Venice real estate information. I was doing some market intelligence today and I noticed something quite interesting. The major real estate portals such as Zillow/Trulia, Redfin, Movoto, etc., are including what are supposed to look like an active inventory count of available properties for the search term queried. It seems one of our competitors has picked up on this trend. Both of these search results are displaying incorrect inventory levels for the search terms used. Since "Venice Island" is a geographic area more than a neighborhood, I use the mapping feature available in our MLS to display properties there for sale on my website. Today there are 93 single family homes, condos, townhomes, and villas for sale in that area, not 127. As far as Zillow's link, it wasn't even accurate based on the keywords used. 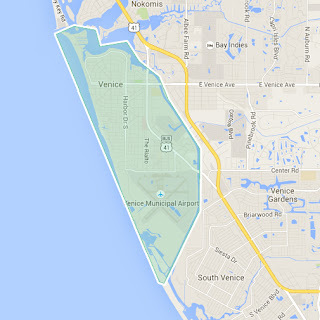 For Venice FL, there are not 977 homes for sale. There are 246 single family homes for sale today as of this writing in our MLS with Venice as the city. There are big changes coming to real estate that will be affecting both home buyers and home sellers that center around mortgage loans and closings. 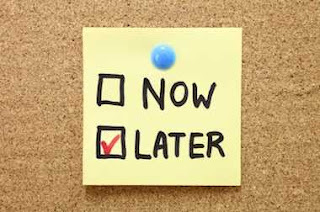 Known in our industry as TRID (which stands for TILA RESPA Integrated Disclosure), buyers who are financing their real estate purchase will have new financial disclosures and mandatory review periods that will affect how long it takes to close, once a property goes under contract. 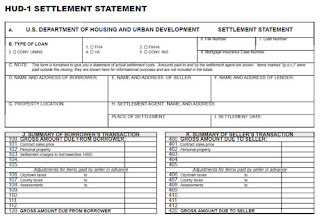 Home buyers will receive two new forms when financing: an initial loan estimate disclosure, which replaces the current GFE (Good Faith Estimate) and the inital TIL (Truth in Lending disclosure); then, three days before closing, the home buyer and home seller each will receive a Closing Disclosure, which is meant to more clearly outline loan terms, fees, and other charges than the current HUD-1 settlement statement. People seeking refuge from winter weather or retiring have a lot of choices when it comes to Florida real estate. Does renting for a year to see if you like an area make sense? The median sales price for a South Venice single family home increased $26,000 in the first six months of 2015 compared to the same period last year. If you decided to rent a home in South Venice, rental rates for a single family home on an annual basis are around $1200 per month, equaling $14,400. Renting for a year in South Venice could cost you $40,400. Look at that equity you missed out on. 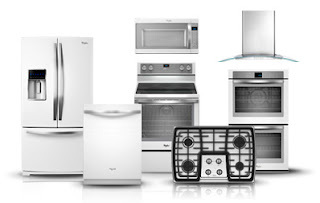 Periodically I run across articles about the next trend in appliances after stainless steel. I hear a lot of people complain about maintaining stainless steel in their kitchens, but according to the data, most home buyers consider it superior to white or black finishes. Two of the major appliance manufacturers are offering alternatives to stainless steel, due to what many in the industry believe is the end of the stainless steel era. What do you think? Would you consider a renovated kitchen in Whirlpool's Ice Collection as desirable as stainless? Venice Island presents a challenge when analyzing real estate prices. Properties run from entry level vacation condos under $100K to multi-million dollar homes directly on the beach. For this comparison I looked at all types of properties, just to get a broad snapshot the market. Pricing real estate on the Island (as we locals call it) for purchase or listing for sale would require a much more detailed investigation of recent sales at street level or individual building in the case of a condo. 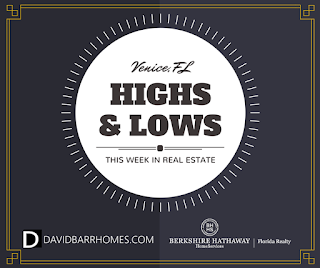 An increase of 18% in median sales price for the first six months of 2015 versus the first 6 months of 2014 shows Venice Island real estate is in high demand. If you're looking for an investment property in Venice or a second home or retirement property, please contact me. You can also search all Venice Island real estate for sale on my website. I see it almost every day in my real estate business: a renovated home that doesn't quite hit the mark with buyers. This kitchen looks pretty good as it is, right? 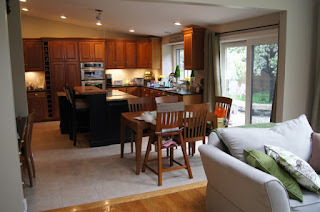 Newer cabinets and what look to be solid surface counter tops and newer appliances are pretty standard items for what most people look for in a renovation. Take a close look at the after picture. The kitchen cabinets and counter tops are unchanged except for color and door pulls. In my opinion, white cabinets will never go out of style. And, make sure to pay special attention to the cabinet door pulls. This can make or break your renovation in the eyes of a buyer. A couple of well-chosen updated light fixtures successfully complete the updated look. When you're ready to sell your Venice FL real estate, please contact me. Venice Gardens is a popular neighborhood both for it's affordability and location, situated just minutes from downtown and local beaches. Most homes are concrete block construction with public water available. One of the unique features of Venice Gardens is the chain of lakes. Many homes have beautiful water views and private docks for canoes or kayaks. Real estate prices for the first 6 months of 2015 showed an increase over the same period in 2014, with median sales prices of single family homes jumping 14%. Sales volume more than tripled, with 97 properties sold during the period in 2015 compared to 30 in 2014. 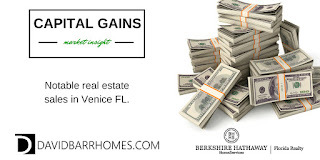 If you are interested in purchasing a home in Venice Gardens please contact me. 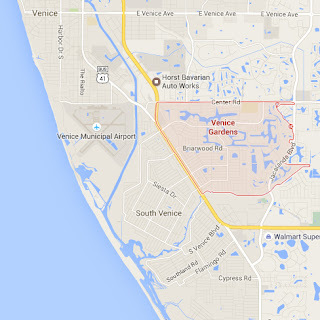 You can view currently available homes for sale in Venice Gardens on my website. We're halfway through the year and I thought I'd take a look at how the first six months of 2015 stacked up against 2014. I'll be doing this for many popular Venice FL neighborhoods in the coming days and weeks, but today's blog post starts with South Venice. The biggest takeaways from this analysis are that the median sales price increased 22% over the first six months of 2014, and sellers found themselves in control in price negotiations, with only a 2% difference between the list price and the sales price of the property. Demand was high in 2015, with days on market 37% shorter than in 2014. This also brings up another issue I hear from potential buyers who want to rent before they buy. If you decided to rent first in South Venice, you likely spent about $14,000 on an annual rental. While you waited a year to buy, the same house was $23,500 more. That's $37,500 in lost equity. A new report from the National Association of Realtors called the Danger Report suggests that the sales team concept threatens brokers and individual agents. According to the report, sales teams can become powerful and create their own brand outside the broker's branding. Brokers also fear the managing team member could create policies for their team of agents that go against the broker's policies, or worse yet, violate Realtor ethics or real estate law. 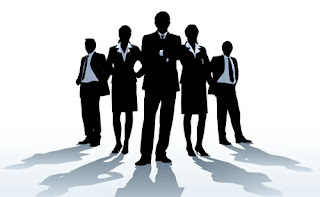 I operate as an individual agent and I've never felt threatened by a competing sales team. Most of the customers I work with want to know that the agent they hire is directly responsible for every single facet of their real estate transaction. 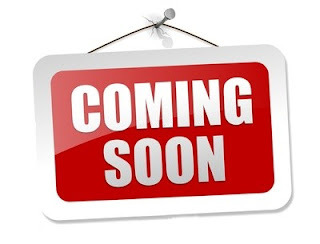 Who wants a newbie inputting property descriptions into the MLS or in marketing? I can't think of anything that would be more frustrating as a real estate customer than calling my Realtor and getting passed on to "the person who handles that".